Because Trump thinks he’s the smartest person in the room, he continues to be wrong about practically everything he opens his gaping maw about. It’s not only inaccurate, it is not possible for him (or any government entity) to alter the rates Amazon (or any other mass shipper) pays the USPS for its service. In fact, the CFO of the USPS actually had to respond and say its relationship with Amazon is beneficial. By law our competitive package products, including those that we deliver for Amazon, must cover their costs. Our regulator, the Postal Regulatory Commission (PRC), looks carefully at this question every year and has determined that they do. The PRC has also noted that competitive products help fund the infrastructure of the Postal Service. It is that infrastructure that enables us to fulfill our universal service obligation to deliver to each and every address in the United States at an affordable rate. So, while I’m fairly sure the CFO of the USPS thought to himself, “Jesus, do I really need to do this?” as he typed out his response, it provides us with further proof that the doofus in the White House has no idea how government works. The postal service is independent. While the postal service has Presidential appointees, their decisions are their own, defended by constitutional rights. The United States Postal Service (USPS) is defined by statute as an “independent establishment” of the federal government, which replaced the Cabinet-level Post Office Department in 1971. The Postal Service is responsible for the collection, transportation, and delivery of the mails, and for the operation of thousands of local post offices across the country. It also provides international mail service through the Universal Postal Union and other agreements with foreign countries. 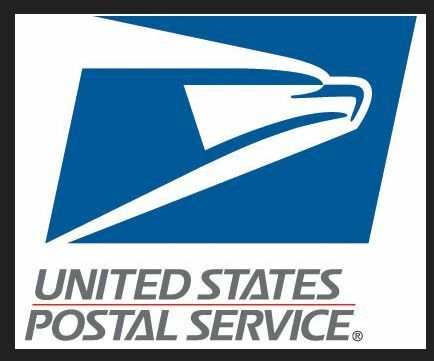 The USPS is often mistaken for a government-owned corporation (e.g., Amtrak) because it operates much like a business. It is, however, an “establishment of the executive branch of the Government of the United States”, (39 U.S.C. § 201) as it is controlled by Presidential appointees and the Postmaster General. As a government agency, it has many special privileges, including sovereign immunity, eminent domain powers, powers to negotiate postal treaties with foreign nations, and an exclusive legal right to deliver first-class and third-class mail. Indeed, in 2004, the U.S. Supreme Court ruled in a unanimous decision that the USPS was not a government-owned corporation, and therefore could not be sued under the Sherman Antitrust Act. Due to its expanded distribution network and fulfillment centers to ensure quick delivery, Amazon has a physical presence in many states and an obligation to pay sales taxes. Amazon currently collects and remits sales taxes for sales made directly by Amazon, as opposed to its third-party sellers, to all forty-five states with a statewide sales tax. Amazon supports the Marketplace Fairness Act that requires remote sellers to collect sales taxes. I don’t know what is flowing through his dinky thumbs when he takes to Twitter, but Trump has again and again proven that he has no idea what he is talking about and instead prefers to “trust his gut”. He is Stephen Colbert’s “truthiness” personified, which is funny, but not for a sitting President.